A surprising number of web services applications seem to be built for “users”. They tend to identify you by username (not by real name) in the apparent intention to “save time filling out another field on the form. The use experience is mostly antiseptic and designed to be efficient, not engaging. So here’s the number one thing to keep in mind when building a SaaS / web application. “Imagine you are the web application (in person). What would you tell me (the customer) to do with it”? What this means is that all the menus, navigations, error messages should be words that you would use to guide me to work with you. You will tell me “Sign up” not to Submit. You will use verbs (actions) to tell me what to do instead. “Build. Manage. Deploy” instead of “Dashboard. Settings. Reports”. 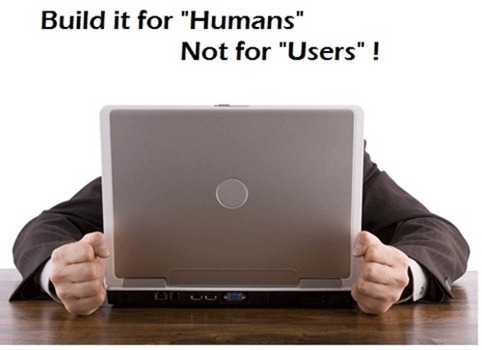 The most important point I am making is to ensure that as a developer, you keep the human in mind. We like productivity, but we also love nice (pleasant) surprises. Please do play this mind game with your web application. Imagine you are talking to a user – as a real person, speaking to another real person. Now, look at your web application again. Do the menus, navigation labels and errors sound like what you’d tell me in person? If not, you have some work to do. I like the writing. http://snappii.com best suits in case you need qualified app for a definite reason IMHO.